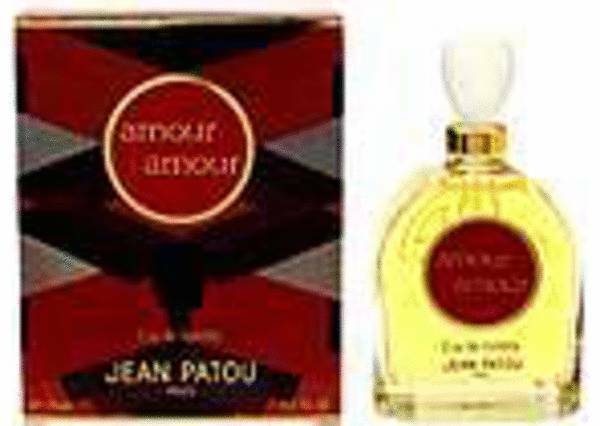 Amour Amour Perfume by Jean Patou, In 2003, Jean Patou launched the refreshing scent of Amour Amour . The perfect blend of floral and oriental scents, this tantalizing fragrance shows off a woman’s fun-loving nature. Created to blend in seamlessly with summer days, this scent is at its best during the warm days of spring, summer and fall. Light enough for wearing during the day, it also has the strength to take you well into a night of relaxation. Moderate longevity and sillage ensure that this Read More Read More fragrance can keep up with even any adventure without letting you down. The top notes of this delightful aroma are lemon, strawberry, bergamot and neroli. The complex heart notes feature narcissus, rose, ylang-ylang, jasmine, orris root, lilac, lily and carnation. Aromatic base notes include heliotrope, vetiver, cevit, musk and honey. The Jean Patou opened his first fragrance boutique in 1919. He released his first fragrance in 1925 and never looked back. The nose behind Amour Amour is Henri Almeras. All products are original, authentic name brands. We do not sell knockoffs or imitations.